Generally found only on early 1964 sets the "TM no country of origin" tag. 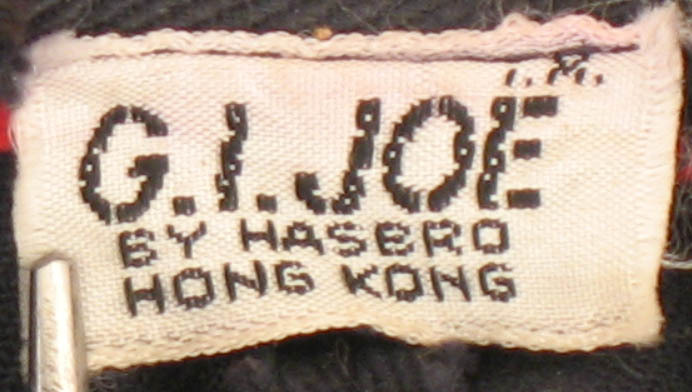 Also a very early early tag, the "TM Hong Kong" tag. 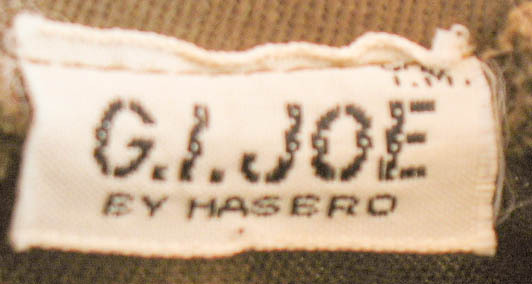 Note the addition of the R to this 'TM Japan" tag, indicating production in late 1964 through 1965. 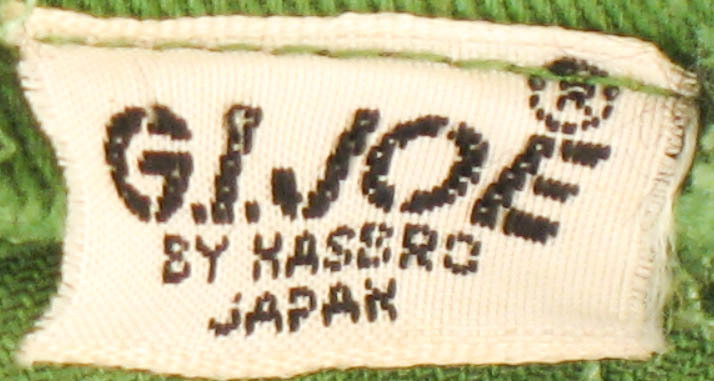 An unusual variant, some uniforms during this early period were manufactured on the island of Okinawa and these have their own tag. It has been said that items sold through Hasbro's own factory seconds shop were marked in red on the tag like this. I don't have verification on that, but it's an interesting idea to pursue. The "R" Japan tag shows up in the 1966 Green Beret.